Well, we are under 24 hours away from the NFL returning to play its 7th annual regular season game in London, England, and I am excited, despite both visiting teams being winless. 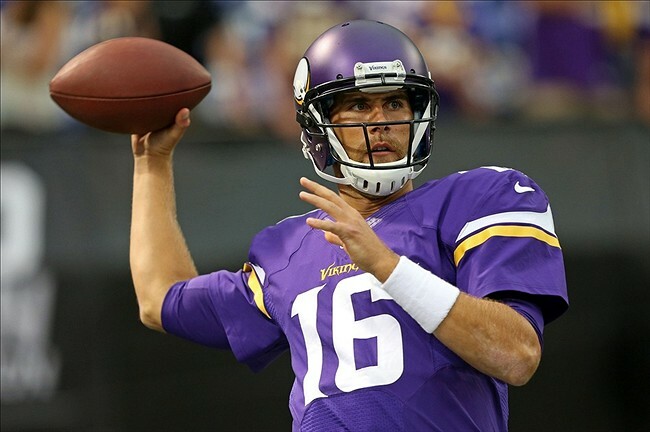 The biggest storylines are going to be the performance of Minnesota Vikings quarterback Matt Cassel, making his first start for an NFC franchise, and his first appearance for his third NFL team. For the visiting Pittsburgh Steelers the headlines will be dominated by former Michigan State rookie running back Le’Veon Bell, who will be making his regular season debut. The Steelers are 0-3 for a number of reasons, but perhaps the biggest is the abysmal rbbc (running back by committee) approach by Pittsburgh. There is a lot of expectation on Bell to become the next big Steelers tailback, but he has a long long way to go before he can even shine the shoes of former Pittsburgh running back Franco Harris, a Super Bowl winner who was in London today to take part in the festivities on Regents Street. Common wisdom says the game tomorrow will be a high scoring affair, as both teams have superstar defenders (Jared Allen for the Vikes and Troy Polamalu for the Steel Men), but this is a team game, and the 11 starting defensive players for both teams are simply not collectively two of the better units in the game. Vikings rookie wide-receiver Coradelle Patterson. With a return touchdown already under his belt in just 180 NFL minutes this is one guy who could find an immediate spark with veteran quarterback Matt Cassel. I am going to be a Vikings fan for the day, not because Minnesota are the ‘home’ team, but because I will be meeting a friend from Minnesota for the first time. These are dark days for the Pittsburgh Steelers and it is not the time to expect a rookie running back to shoulder the load. Adrian Peterson is not human, he is built from the same stuff as the Terminator, and I see him gunning down the Steelers for four quarters. 2 rushing tds from AP and a Kyle Rudolph catch for Minny and a consolation Jerrico Cotchery td from Big Ben Roethlisberger. AP to be leading rusher, Antonio Brown to lead in receiving yards. Jared Allen to get one sack – driven by his lovely mullet. See you all there on Sunday – and Scott the first round is on me !